Decorate the Christmas Tree with 3D Nativity Ornaments! 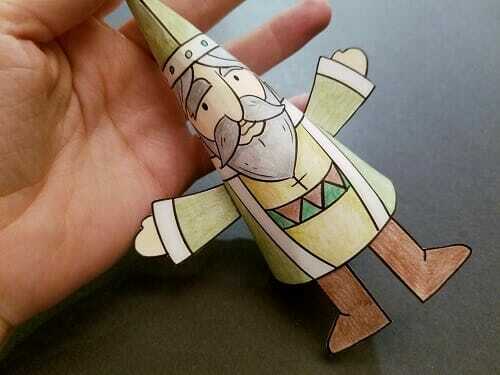 Print As Many Ornament Worksheets as You Need! 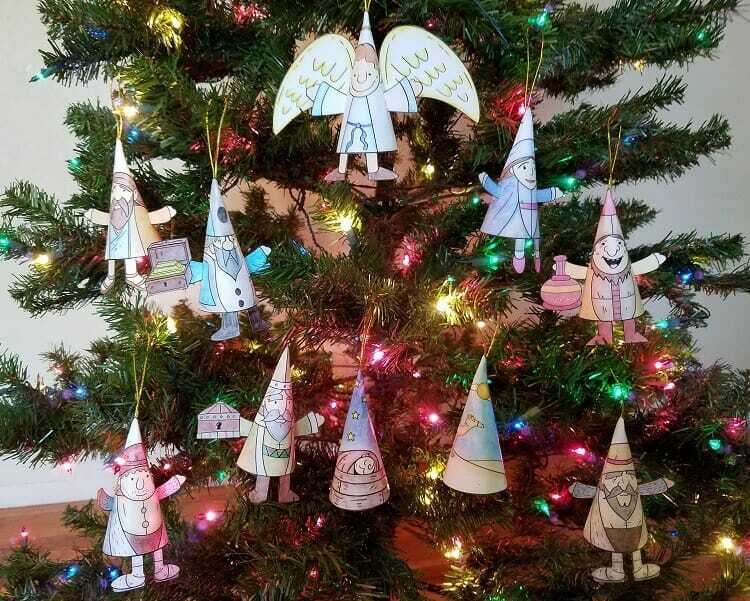 Our Printable Nativity Ornaments are a fun and engaging craft project for kids of all ages, and easy for parents and teachers! 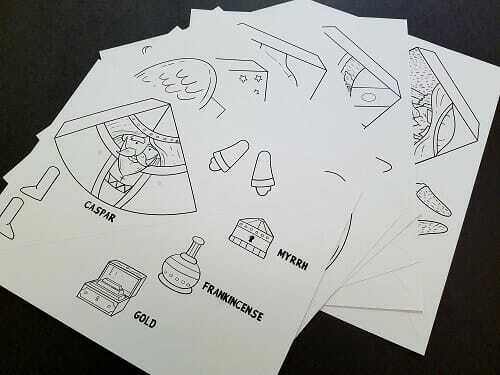 Help the kids color, cut & assemble a complete Set of Nativity Ornaments- complete with Jesus, Mary, Joseph, the 3 Wise Men, Angels, 2 Shepherds, & a Camel. Print out the 6 templates on standard 8.5 X 11 inch computer paper or card stock. You can print out as many templates as you need for your home or church use! Have kids color in the ornaments using whatever supplies you have on hand- crayons, markers, colored pencils, etc. 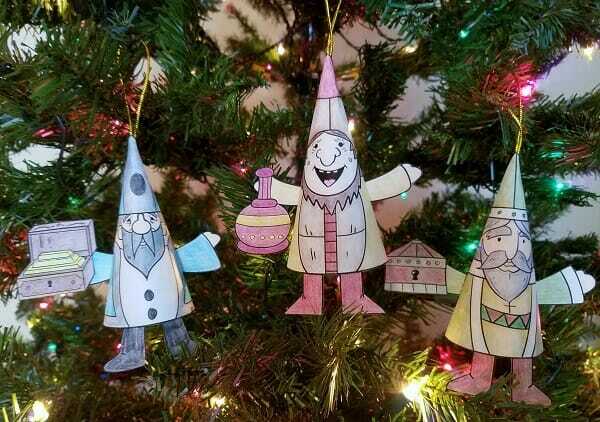 Wrap your ornaments into cone shapes and secure together with glue. 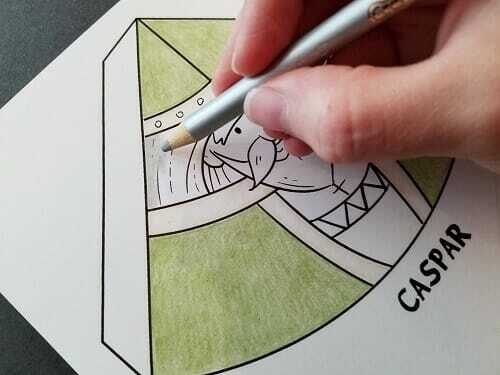 Paste on any extra elements where shown such as legs, arms, wings, etc. A ribbon is easy to insert through the point in the cone! Display your Ornaments! Better yet- make another set to give to someone you love this year! This Nativity Ornament Collection makes an amazing handmade gift for parents, grandparents, aunts, uncles, teachers, etc. As soon as your order is securely processed, we’ll direct you to a download area, where you can get instant access to the printable ornament templates. 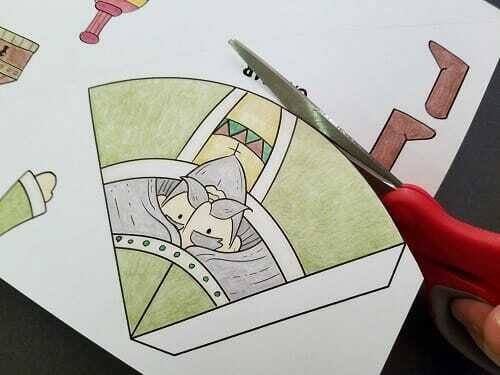 Print out as many of the ornament templates as you need (year after year!). In addition to the Printable Nativity Ornaments you will be given the current edition of our KidMin Power Pack as our bonus gift! The Printable Nativity Ornaments & Power Pack are 100% downloadable, so you get instant access to the materials as soon as your order is securely processed. Get started by clicking the Add to Cart button below. 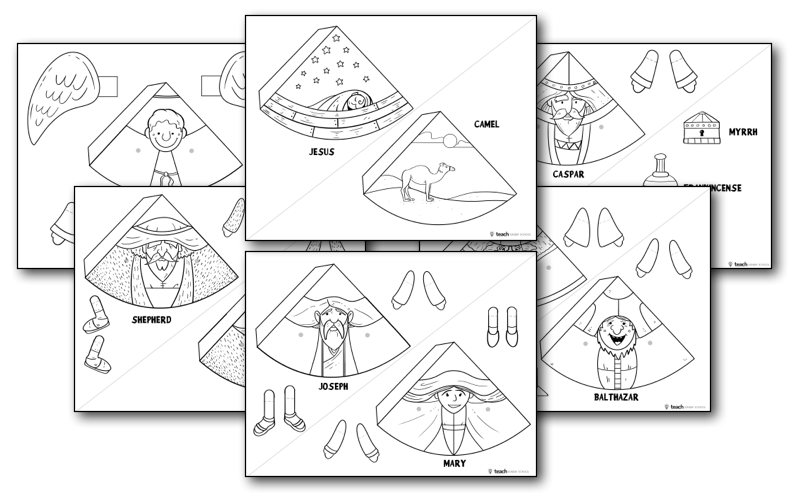 The price today is just $3.99 for the Nativity Ornament Templates & the KidMin Power Pack. We are so sure that you will love the Printable Nativity Ornaments that we are offering an unconditional 100% money-back guarantee. YES, I want in! 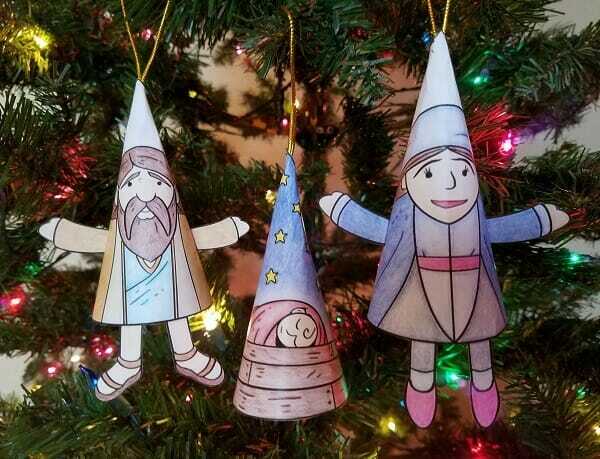 I want access to the Printable Nativity Ornaments that I can use over and over again. Please give me INSTANT access right now!